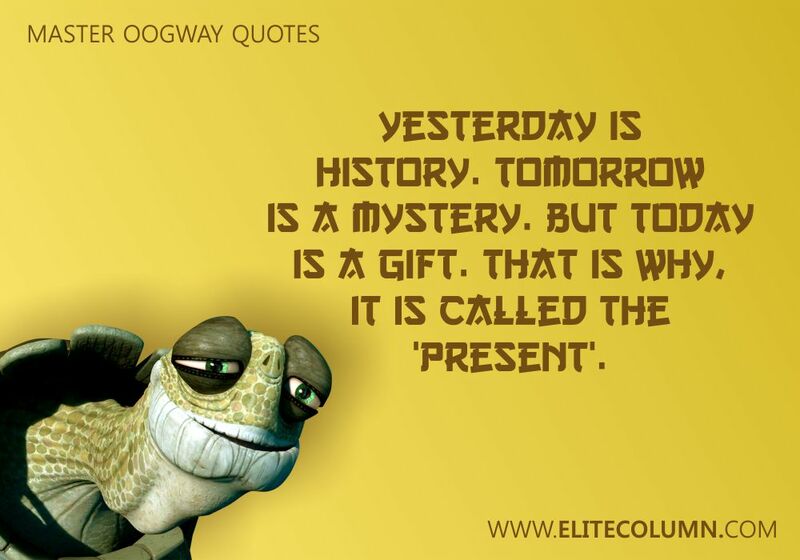 Master Oogway is an elderly tortoise and the former master of the Jade Palace. 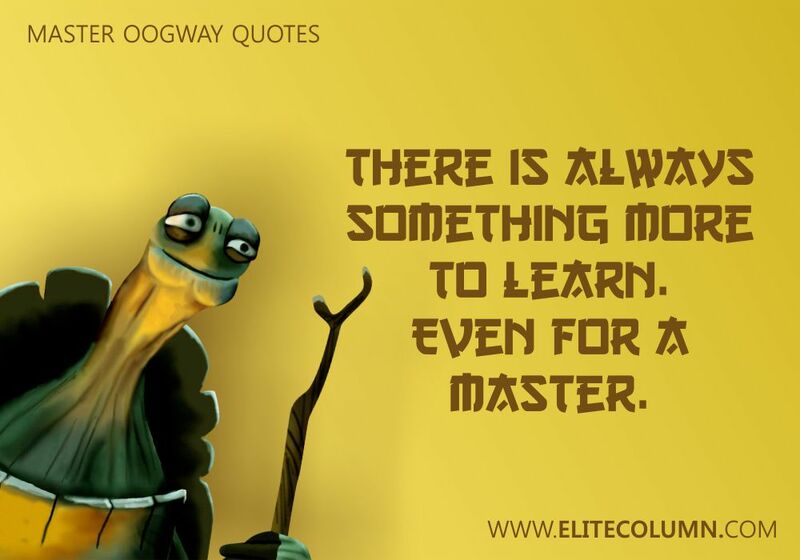 He is also known to be the founder of the Valley of Peace, the creator of kung fu, and the developer of the Dragon Warrior Legend. 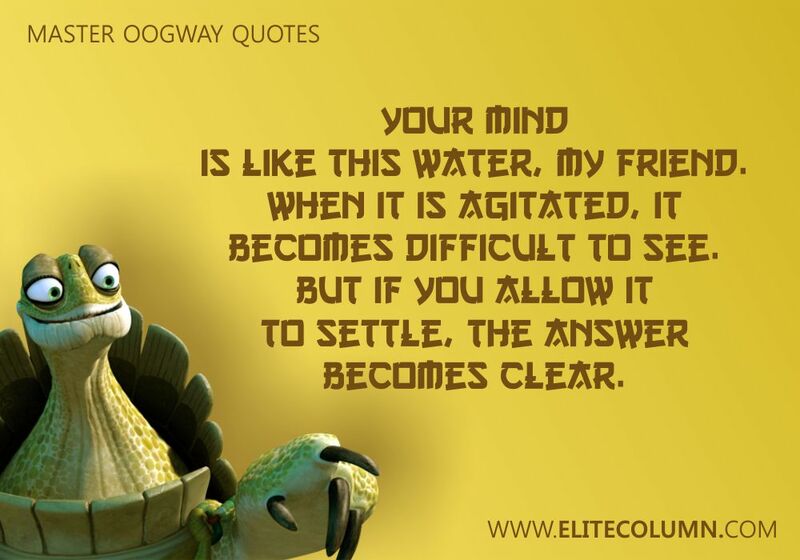 He’s greatly respected by Shifu, Po and the entire Valley of Peace. 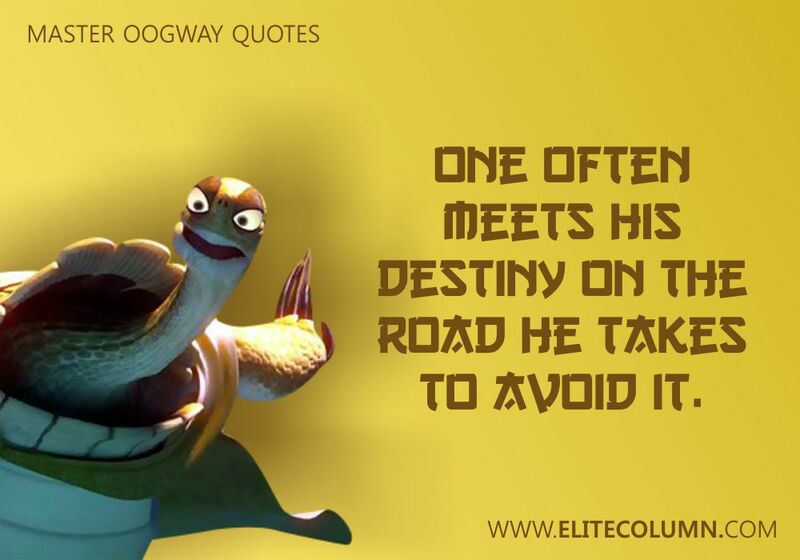 He started his journey a thousand years ago, travelling all around the world and visiting every country until he came to China. 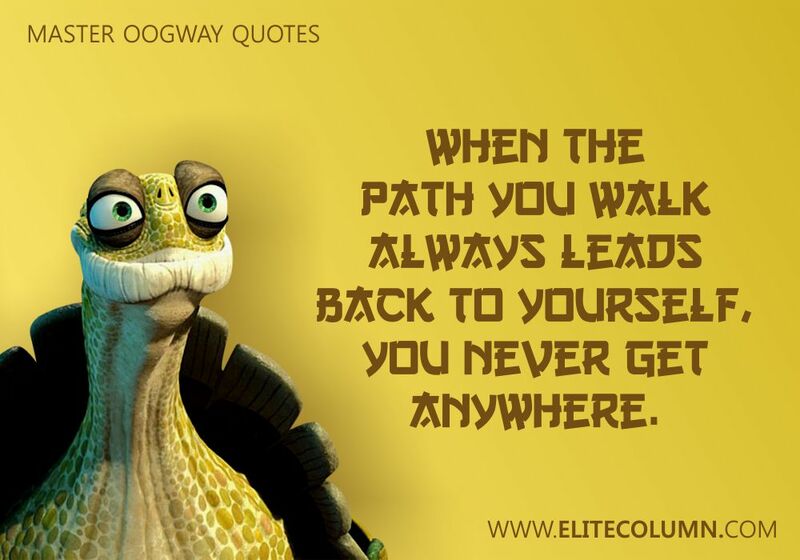 He knew that he has found such a place which he could call home forever. 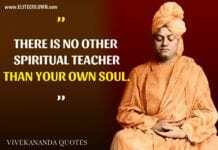 He commemorated his journey by planting the seeds of a tree atop the hill, which is now known as the Peach tree of Heavenly Wisdom. 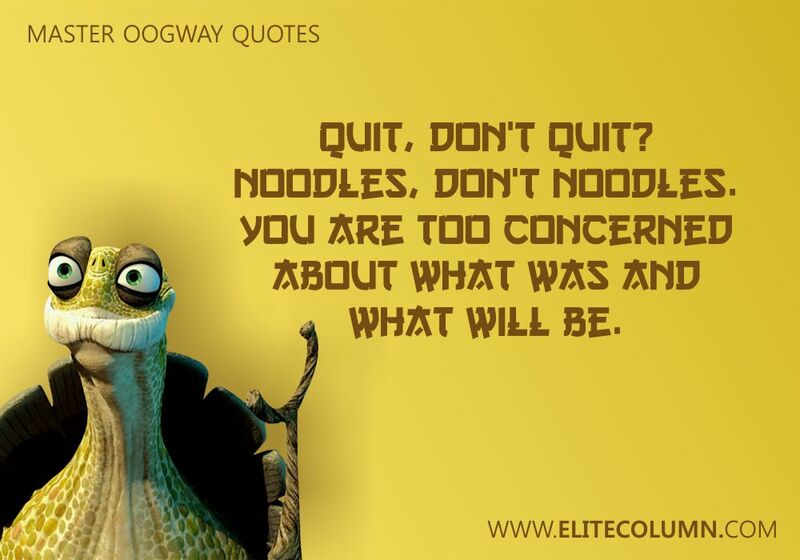 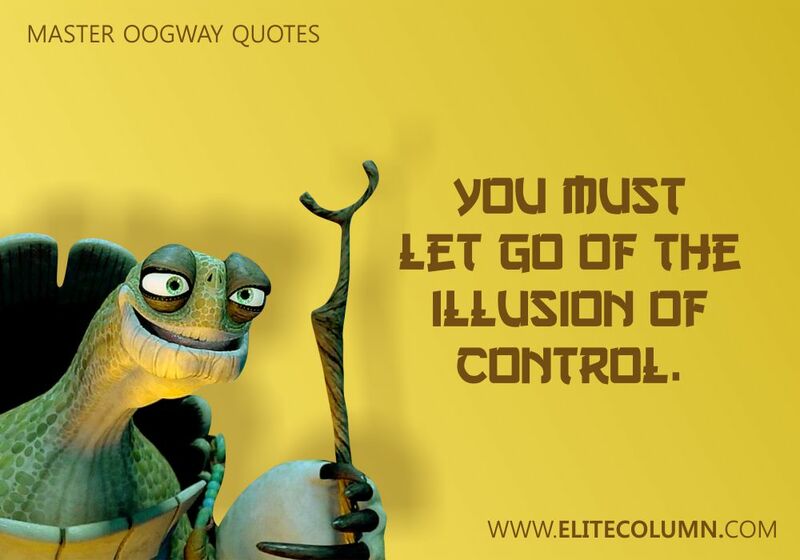 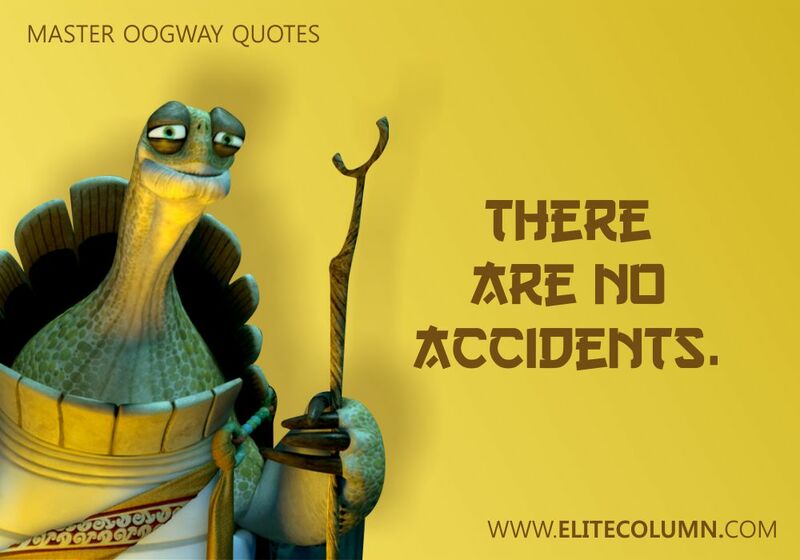 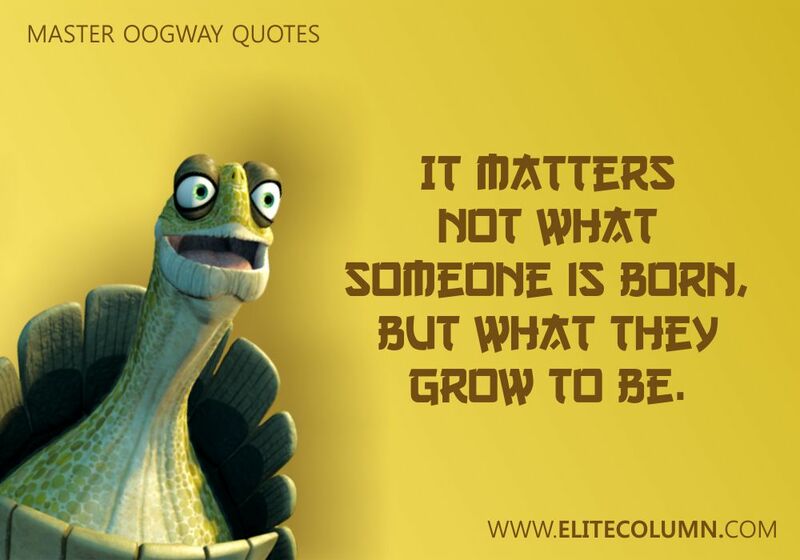 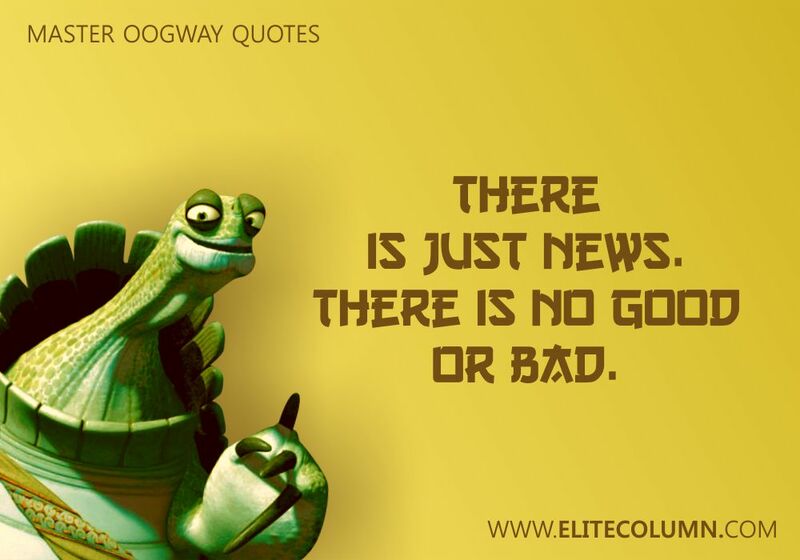 EliteColumn brings you the best handpicked Master Oogway quotes.